Because you care about your body! If you’re interested in understanding proper movement techniques. If you want to heal your body. If you have suffered from pain or injury and have done your research and KNOW you want/ need the BEST… not the cheapest… not the fad… not the here today gone tomorrow franchise. 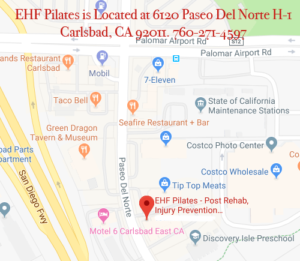 Read our reviews and you will discover we are the BEST in San Diego North County… we’re here to help you live a healthier, balanced and more pain free life with the Pilates method of movement! Pilates is not a new style of exercise, or even the latest “craze”. 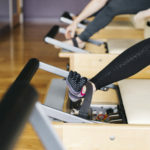 Named after the man who invented the exercise system in the early 1900’s, Joseph Pilates, it has been widely embraced by dancers, ice skaters, gymnasts, the NFL, MLB, NBA, professional cyclists and the Hollywood and social elite for nearly a century. Today, Physical Therapists and professional sports athletes include regular Pilates training due to the incredible benefits of strength without rigidity, increased flexibility, spinal mobility, and improved balance and coordination from regular practice. Pilates is challenging, yet attainable for moderate or even occasional exercisers. With hundreds of exercises and variations, Pilates can be gentle enough for seniors, pregnant women, those with injuries and post-rehab patients. 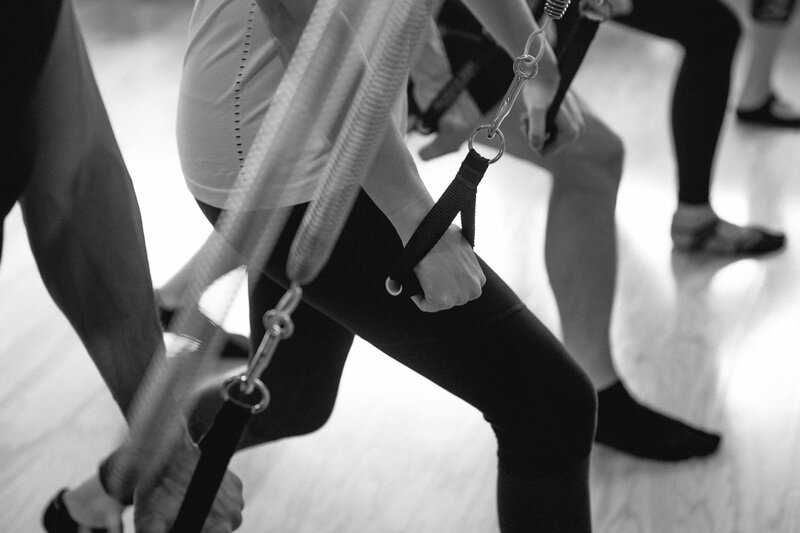 No matter what your fitness level, a Pilates program can be designed specifically for you! Contact us TODAY to get started 760-271-4597. Email info@ehfpilates.com. Located in San Diego County, Carlsbad, California. Did you Know… Joseph “Pilates” developed his method from over 20 years of self-study and was an accomplished skin diver, wrestler, skier, body-builder, Kung-Fu practitioner and gymnast by the time he was 14 years old? Around 1912 he earned a living as a trained boxer and taught self-defense to the Scotland Yard Police. After WW1 broke out he was placed under forced internment along with other German nationals in a “camp” for enemy aliens in Lancaster England. He was transferred to another camp on The Isle of Man where he became something of a “Nurse-Physiotherpist” and worked with many internees suffering from illnesses. During this time he began to intensively develop his concept of physical exercise, which he called “Contrology”. Pilates believed that mental and physical health are inter-related and focused on core postural muscles and use of the mind to control muscles. His method emphasized awareness of the breath and alignment of the spine along with strengthening the torso and abdominal muscles. In his studio on 8th street in NY, Joe opened his “gym” called “Contrology” and became extremely popular with dancers. His devout followers included well-known dancers such as George Balanchine, Martha Graham and Eve Gentry amongst many others. While Joe was the outspoken force behind his method, his wife Clara – a trained nurse whom he met on the boat to Ellis Island – quietly incorporated his concepts and exercises in ways that benefited more seriously ill or injured clients. Her approachable style and special techniques spawned a dedicated lineage of teachers whose work flows through and uniquely colors the landscape of the Pilates method today. It is perhaps because of Clara that Pilates is clearly recognized as a positive form of movement-based exercise that truly can be tailored to any level of fitness and overall health. Joe created “The Pilates Principles” to condition the entire body: Proper Breathing, Core Strength, Postural Alignment, Concentration, Balance, Stamina, Mind-body Awareness and Relaxation were all integrated into his method. He wrote several books about his method designed to encourage people to stay healthy, strong, flexible, and enhance their overall body awareness. In addition, Joe was an inventor and invented most all the apparatus used in todays Pilates practice. 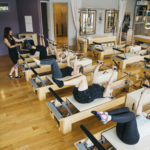 Today, Jennifer Aniston, Tina Turner, Liv Tyler, Vanessa Williams, Rebecca Romijn, Hugh Grant, Danny Glover, professional golfers and sports teams in the NFO, MBA, MLB, cycling gurus and many other celebrities have helped to create an explosion in the demand for Pilates training (pronounced “puh-LA-tees). This demand has not only made Pilates world renowned for producing lean lithe physiques, it has become the latest buzz word in exercise and a must for those who want to strengthen and sculpt their “core” muscles and enhance their flexibility.